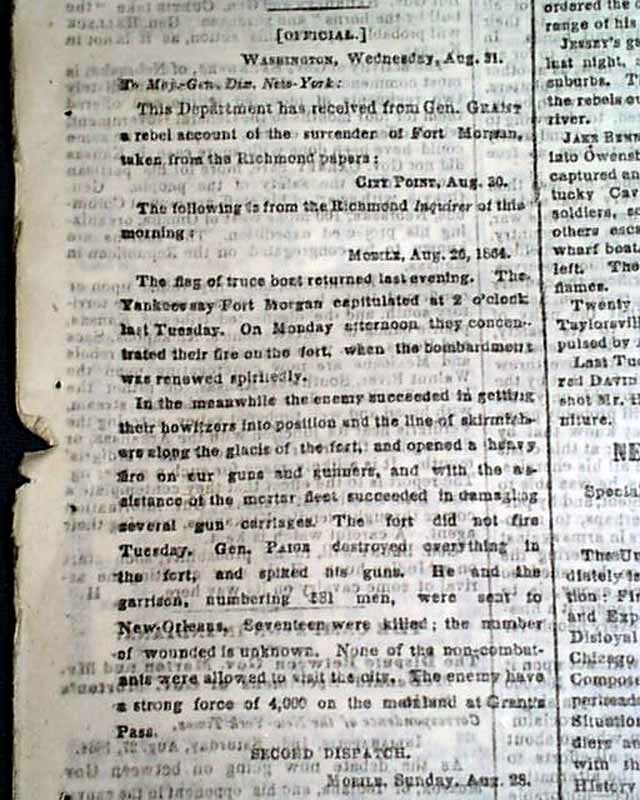 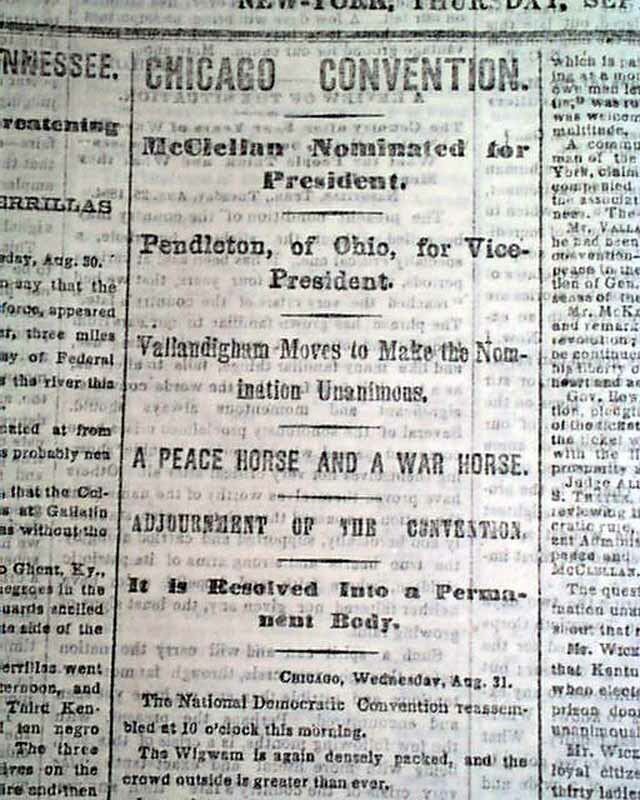 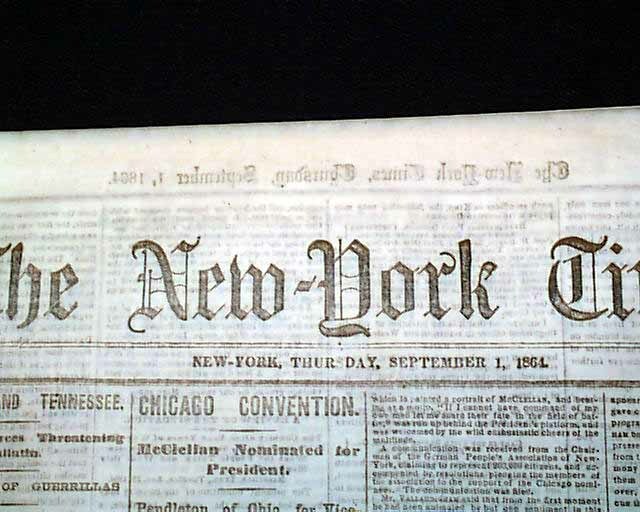 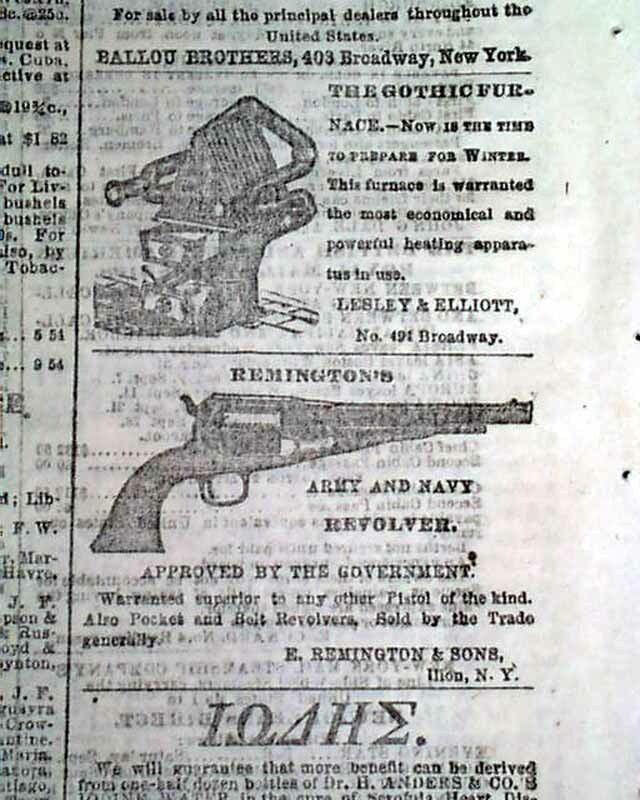 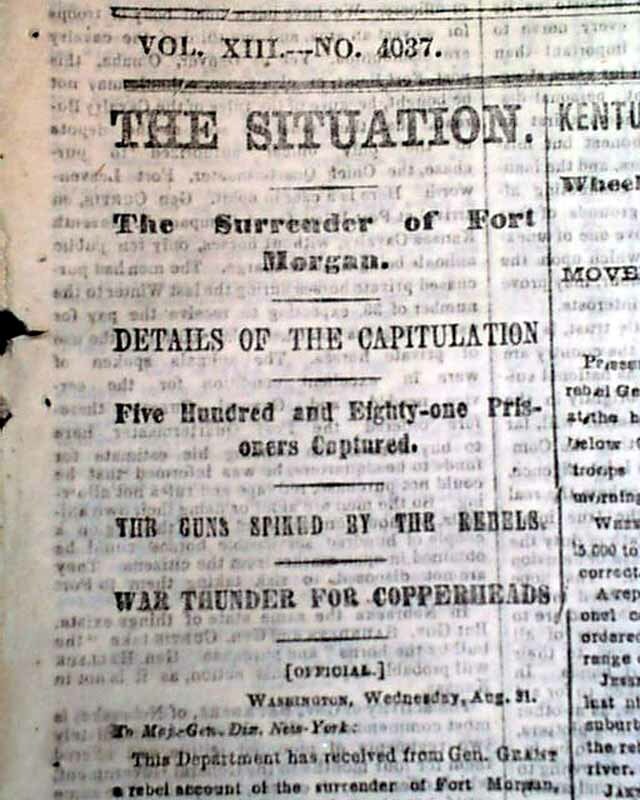 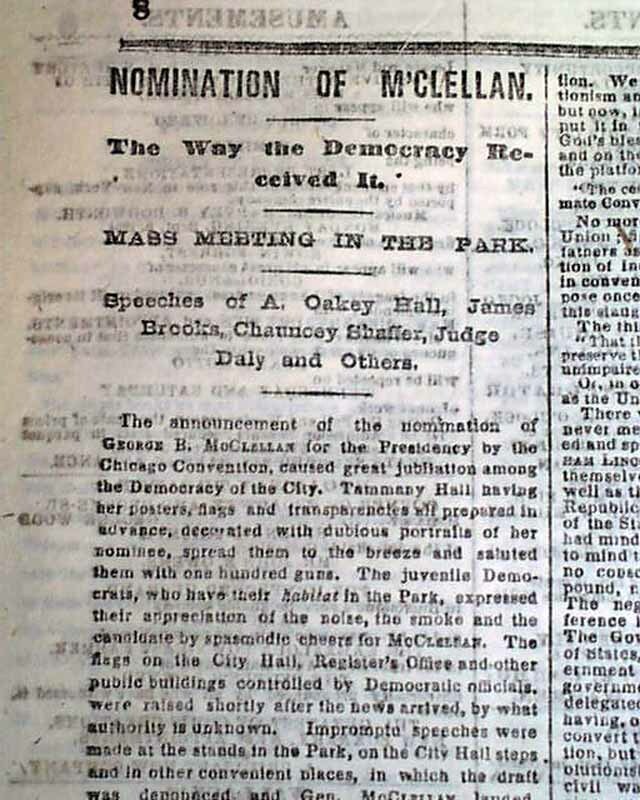 This issue is loaded with advertisements and Civil War reports throughout from the day it was first reported which includes the following headlines: "CHICAGO CONVENTION" "McClellan Nominated for President" "A Peace Horse and A War Horse" "THE SITUATION" "The Surrender of Fort Morgan" "Details Of The Capitulation" "GEN. SHERMAN'S DIVISION" "Jeff. 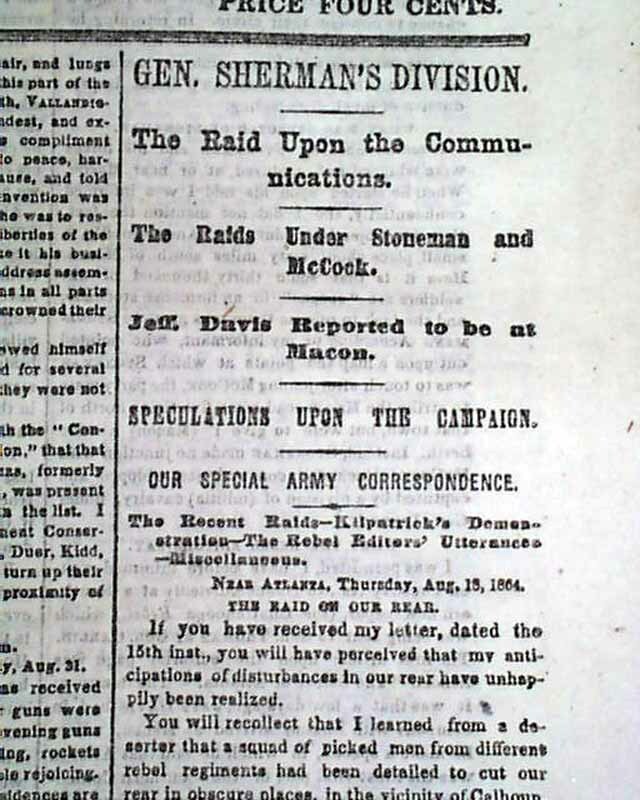 Davis Reported to be at Macon" and much more. 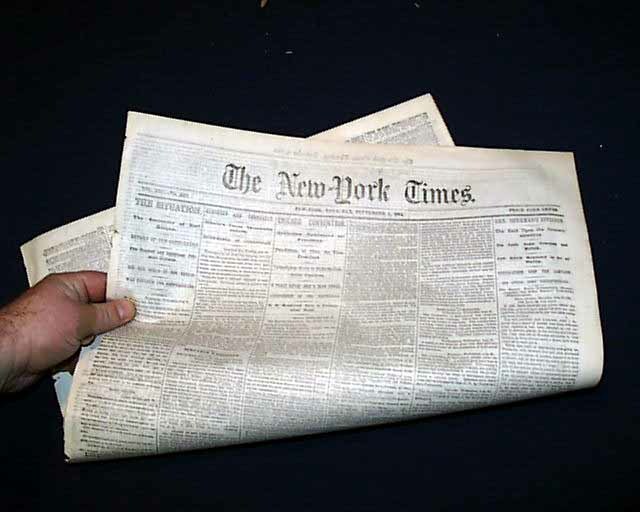 This is complete in 8 pages with lite dampstaining along the very right margin and lower right corner, otherwise is in very good condition.